Lord Krishna told Sri Narada that “you will find me wherever my devotees come together to remember me and chant my names and glories". 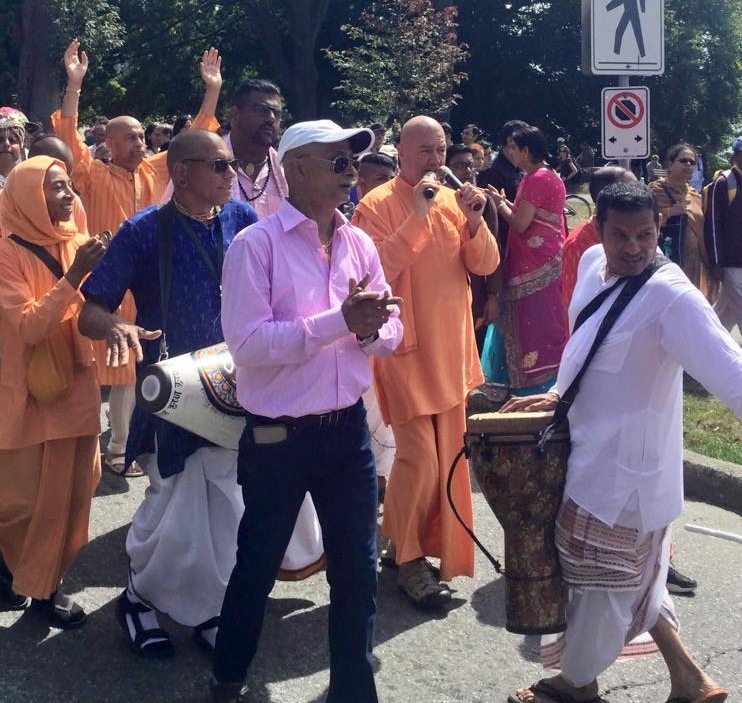 Lord Jagannatha appeared in Vancouver and Kamloops this week. 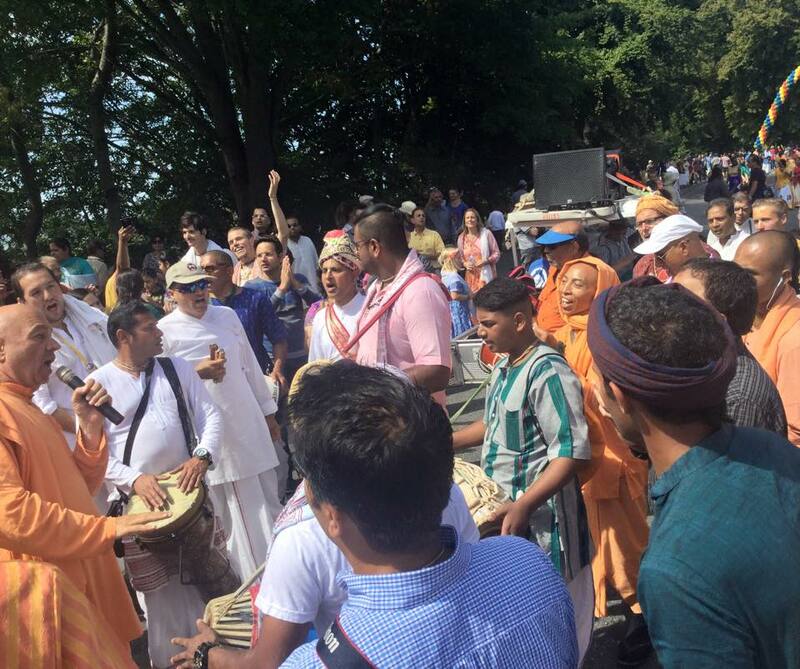 We took a break from harvesting and Eco Village Construction so that we could spread the glories of Lord Jagannatha and sing the holy names throughout our province. Festival of India presents the timeless culture and Knowledge of the eternal Vedas. It delivers the ageless social serenity of the Vedic culture to today's characteristically chaotic population. 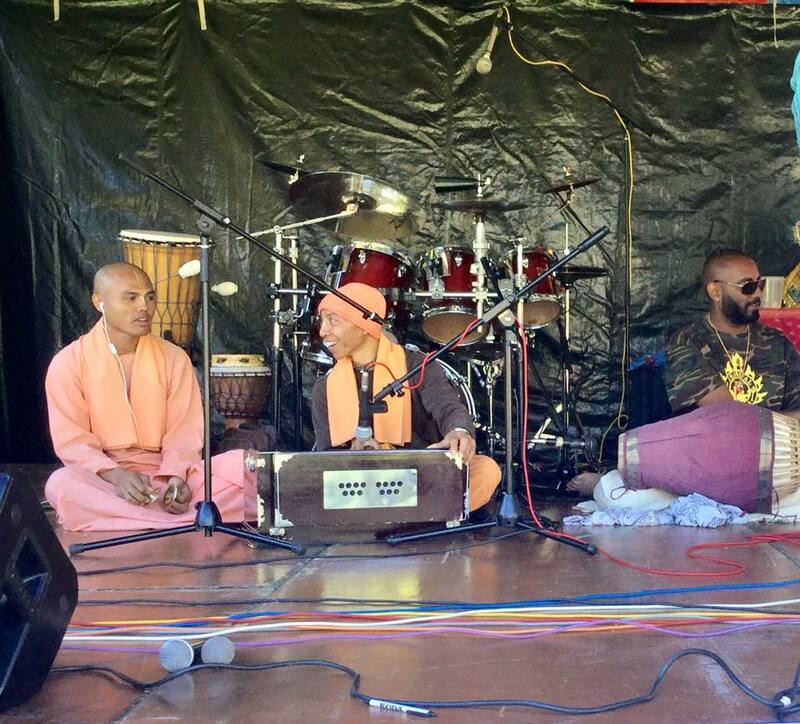 The Festival of India appeared for the first time in Kamloops and was co-managed by Saranagati Village residents. 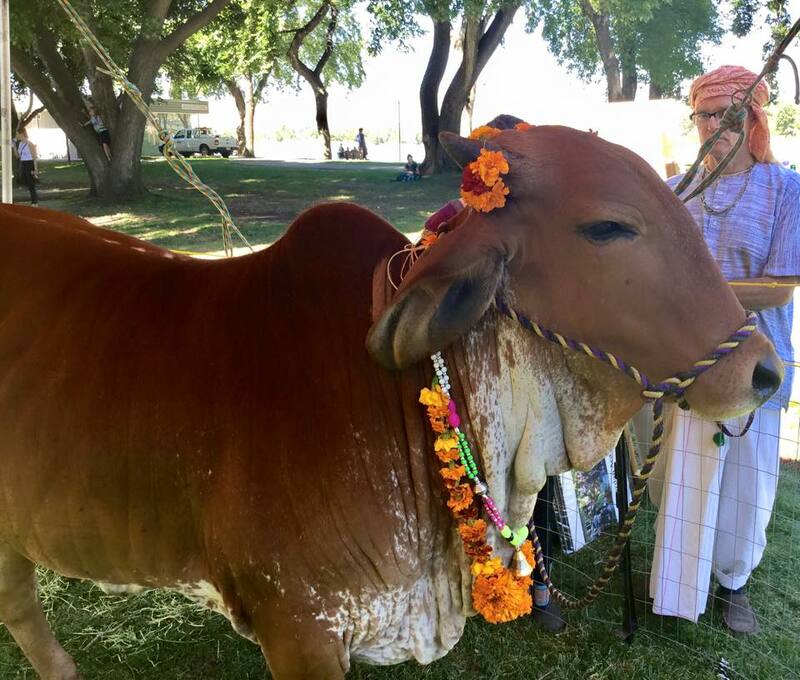 A special guest appearance was made by Surabhi cow. 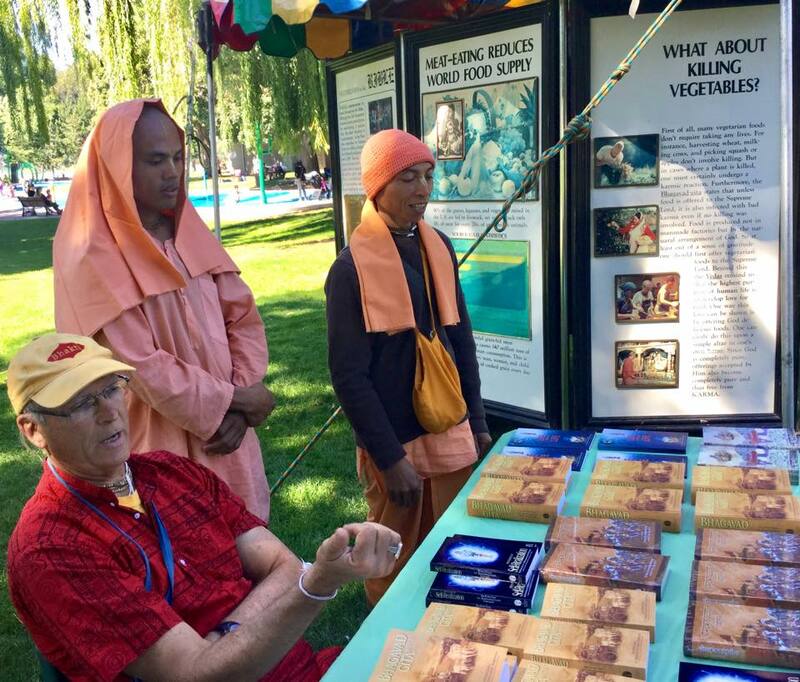 Our Brahmacharies led kirtan and helped distribute books.